In any building with a car park, whether it be underground, high rise or ground level, there are a number of obligations you have to ensure the safety of residents and visitors. The correct lighting of the car park is crucial for a number of reasons and there are many ways you can manage this to still maintain energy efficiency. Appropriate levels of lighting in car parks helps people to feel safe when walking to their car. People are often leaving and returning to their cars alone, and whilst robbery and assault is rare, adequate lighting will certainly decrease the risk of this happening. As well as personal safety, lighting should also make it easy to locate a vehicle, illuminate the interior of the vehicle and assist with visibility when driving in or out of the car park. Correct lighting in your car park will also help to minimise the risk of falls and accidents for pedestrians. Does your building have the correct emergency lighting in the car park? Design and implementation of emergency lighting in a car park is vital for both pedestrian and driver safety. You need to ensure you have lighting in designated escape routes, stairs, landings and designated pedestrian areas. As well as ensuring the emergency lighting is set up in accordance with health & safety guidelines, you need to consider the reliability of the emergency lighting system as a whole. On-going lighting maintenance of your emergency lighting system is paramount. People using entrances and exits to covered car parks are likely to experience contrast between internal and external lighting, that may cause viewing difficulties. Therefore, for example, during the night it may be necessary to reduce the interior level or increase exterior levels. During the day the contrast can be reduced by increasing interior levels in these areas. 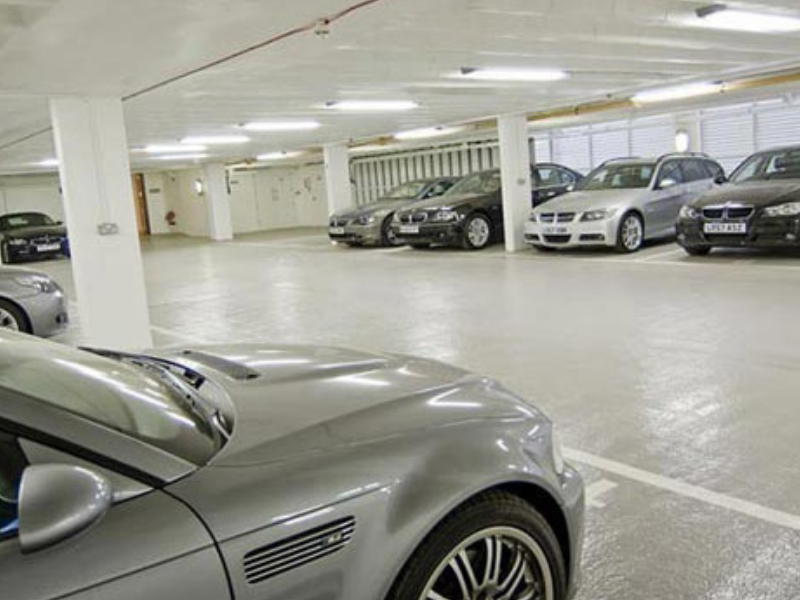 Have you considered intelligent lighting control systems for the car park at your building? These systems can help with minimising energy consumption whilst providing the right light levels at the right times and locations. For example, using complex data, they can calculate the expected level of pedestrian and vehicle traffic at a given time or section of the car park and adjust lighting accordingly.